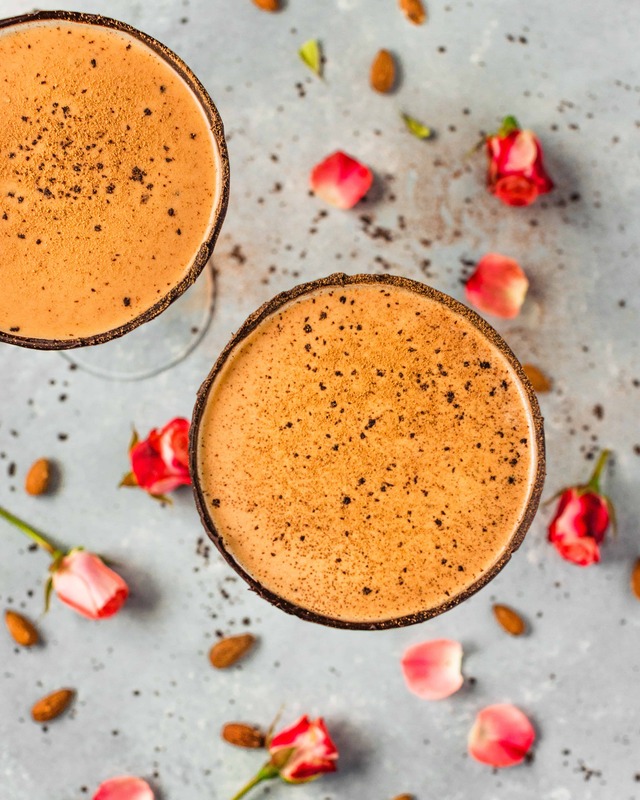 Chocolate Almond Martini | Eat. Love. Namaste. When my Uncle Denny was in town over a year ago, he made this delicious and decadent chocolate martini! It quickly became my favorite dessert martini because CHOCOLATE is gold! His concoction included Godiva Chocolate Liqueur, but to make a dairy-free version, I had to find a substitute. I tried making the martini without the chocolate liqueur, but the drink lacked its creamy-chocolate flavor. I added chocolate almond milk as a test and found the missing ingredient. After a few tweaks, I finally perfected the best dairy-free, chocolate martini! The dairy-free version was even better than the original! It resulted in a smooth sweet treat with a boozy-kick! 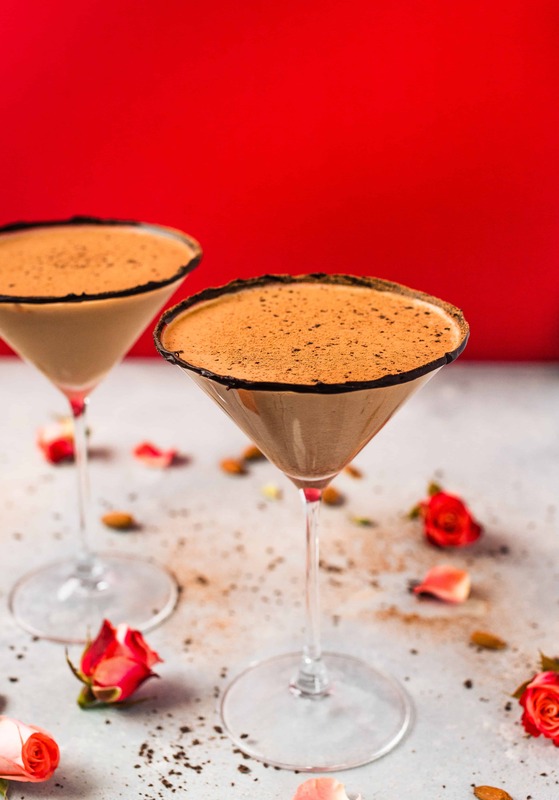 This chocolate almond martini is not too chocolatey and is the perfect drink to ‘woo’ someone special! Think, Valentines Day drink or, Special Occasion-Celebration drink. Your guests or partner will be sending you mixologist compliments and asking for more, so have enough chocolate almond milk on hand. You can use store-bought chocolate almond milk, but I recommend making homemade chocolate almond milk. You have more control over the sweetness and flavor, plus it won’t have any preservatives. 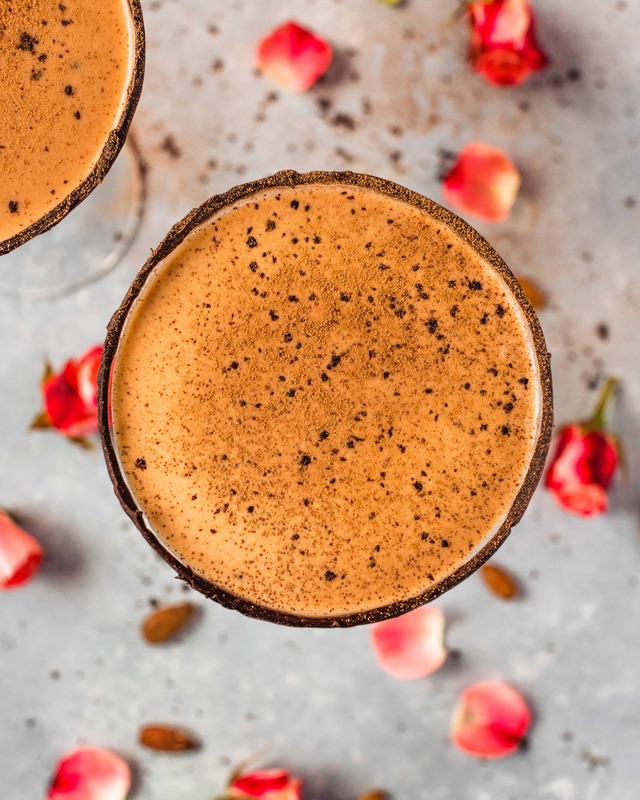 I hope you all enjoy this dairy-free Chocolate Almond Martini! 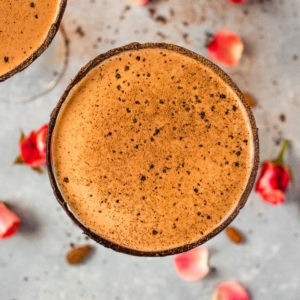 This Chocolate Almond Martini is dairy-free, chocolatey, and is a delicious-boozy drink for special occasions! Add ice and all ingredients to a martini shaker, and give it a few shakes. Pour into a martini glass and top with cacao powder before serving! 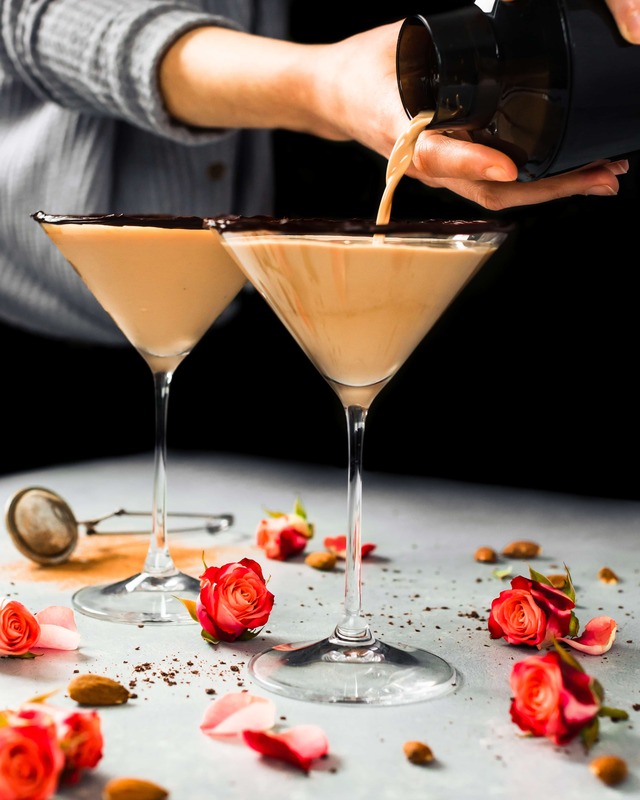 ** to make a chocolate layer on top of the martini glass, melt the chocolate over a double-boiler or in the microwave (mixing in increments). Smear the melted chocolate on a plate and dip the glass on top and place in the freezer to harden before using.